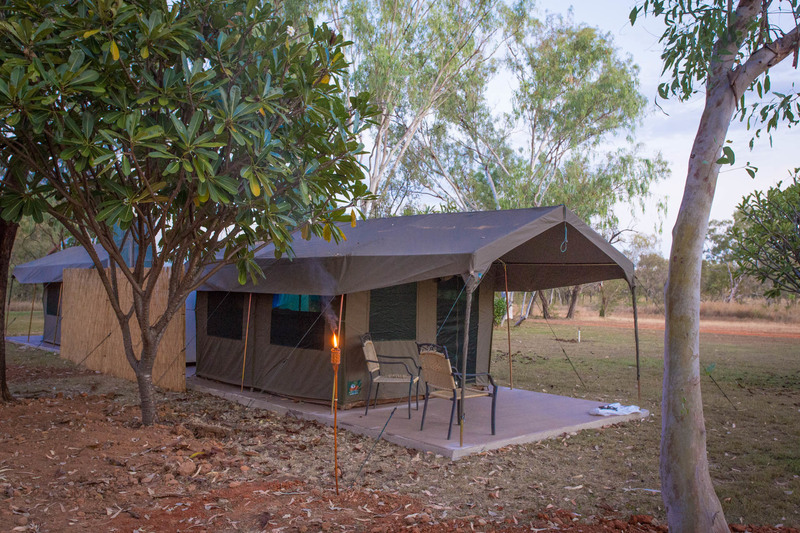 Take in the rugged ancient landscape of the Kimberley while sleeping under the stars in comfort. 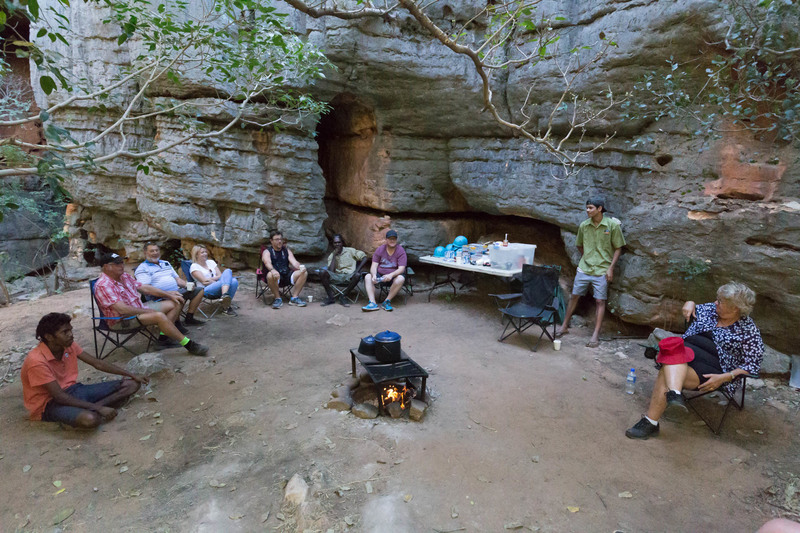 Explore The Kimberley during this amazing camping tour! After a early pickup from your accommodation we head north along the Great Northern Highway, crossing the Fitzroy River. Then it’s all off road as we begin our journey along the Gibb River Road. First stop is Windjana Gorge. The 3.5km long gorge cuts through the Napier Range, part of an ancient Devonian limestone reef that can also be seen at Geikie Gorge and Tunnel Creek. Freshwater Crocodiles bask in the pools, while Fruit Bats and Corellas roost in the water-side trees. The Windjana Gorge Walk winds through the gorge for 3.5km each way. Tunnel Creek is a huge cave system extending 750 metres underground and is the oldest cave system in Western Australia.The walk (actually wade) through Tunnel Creek is an amazing experience you will enjoy. Be sure to wear shoes you won’t mind getting wet! 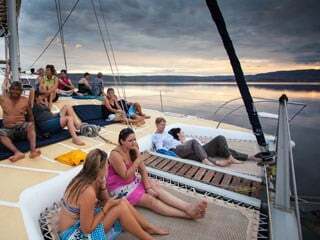 Following breakfast we will enjoy a relaxing Geikie Gorge cruise (included in tour price) before heading East towards Mimbi Caves. The caves are largely unexplored and reputed to form one of WA’s largest cave systems. 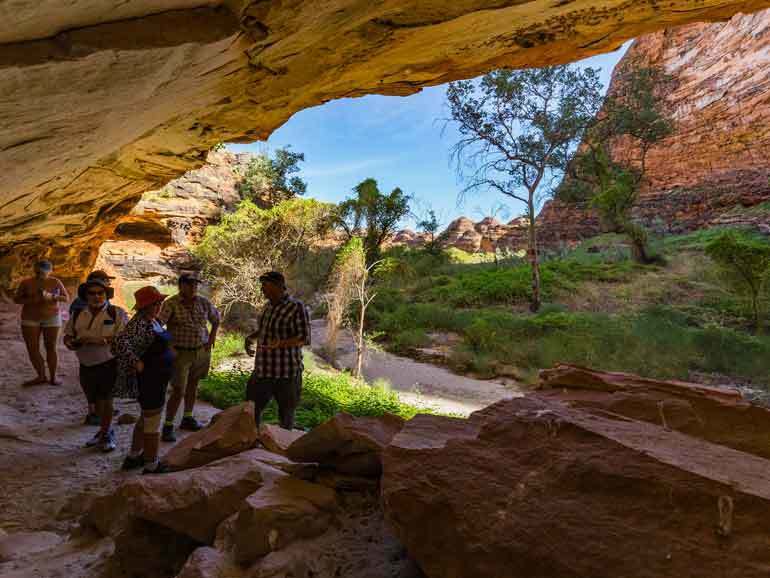 The traditional owners of this area take us on a tour into this spectacular Devonian cave system, explaining along the way bush tuckers and the cultural aspects of their culture. Excavations reveal 40,000 years of occupation at Mimbi Caves. Mimbi is the name given by the Gooniyandi traditional owners to this cave system between Fitzroy Crossing and Halls Creek in the southern Kimberley. It’s defined by the Emanuel Range and the Lawford Ranges and both of these ranges are composed of Devonian limestone. The caves themselves have formed within the limestone itself and house incredible fossils of the Devonian Era. Perennial water pools and cave paintings are found in these caves and the surrounding area is flat savannah woodland with small creeks draining the ranges. 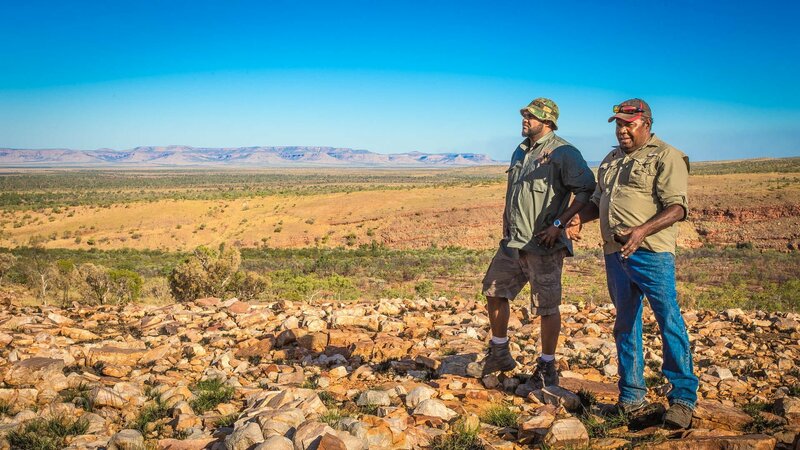 The Gooniyandi people are the traditional owners of the Mimbi country for whom it is of great significance because its association with an important creation story about lunkura the Blue Tongue lizard. It is also important because of what they believe to be the physical evidence of this ancestral being’s movements found in the form of the surrounding rocks. Coupled with their ancestral paintings and oral history these caves show vividly the occupation of these caves for approximately 40,000 years. Their ancestors successfully avoided police and pastoralists here in the early twentieth century. Driving more east on the Great Northern Highway we pass Halls Creek, home of our own China Wall, which is a natural shite stone wall, reminiscent of a miniature Great wall of China. It is a sub-vertical quartz vein which projects above the surrounding landscape. 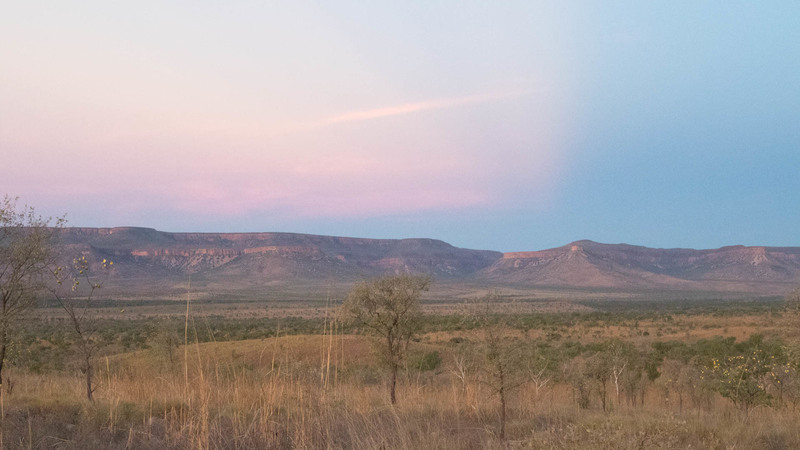 We head further north, passing through the Duffler Range and after crossing the Ord River, we turn off to the Kimberley’s most well known land formations in Purnululu National Park. 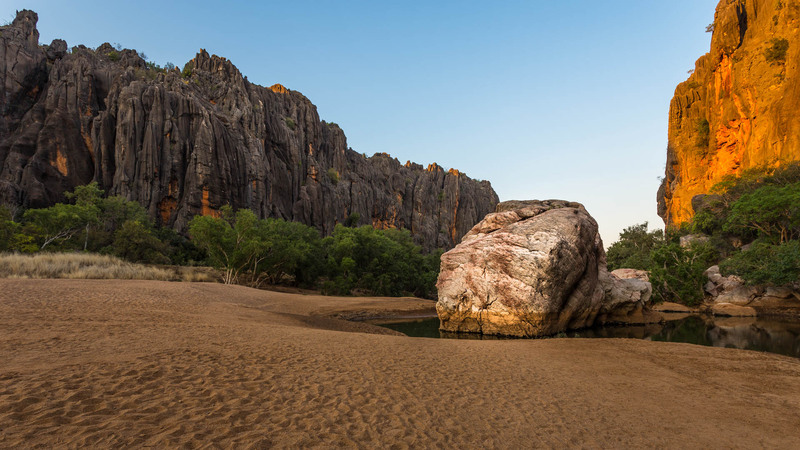 This park is home to the Bungle Bungle Range, a UNESCO World Heritage Site dominated by massive sandstone karsts that rear hundreds of metres above the surrounding grasslands. The drive from the highway into the national park will take up to two hours, will involve several water crossings. Arriving at the Visitor Centre there will be time for a comfort stop and the opportunity to pick up a souvenir of your visit to this iconic location. Time now to head for our camp in the park, prepare dinner, and enjoy the sunset. 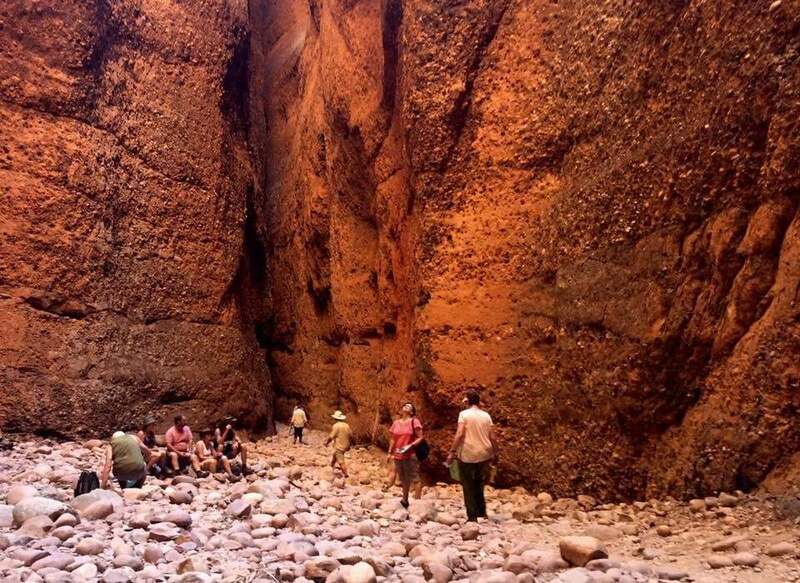 Tomorrow will be another walk-filled day at the south end of Purnululu! 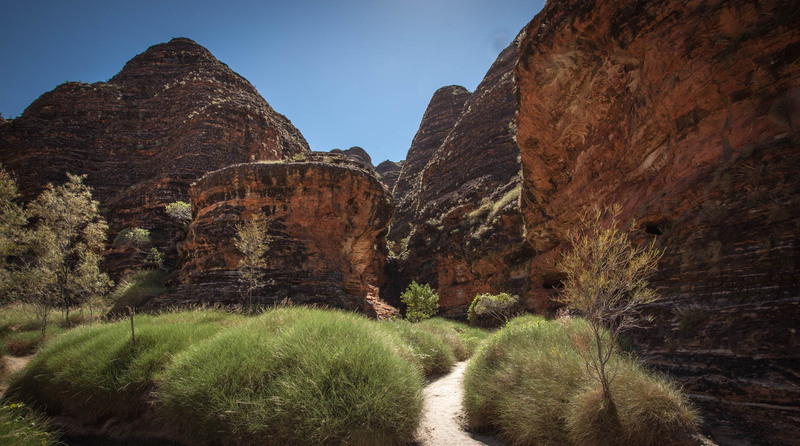 After breakfast today we head to the southern end of the Bungle Bungle Range where there are several spectacular walks, including the stunning Cathedral Gorge. Our bus will park right next to the amazing beehive domes which you will wander amongst, making your way into the gorges of the main massif and enjoying the walks one-by-one. We will explore Cathedral Gorge, Piccaninny Creek, Piccaninny Lookout and The Window. After lunch it’s time to visit the first of the amazing Bungles locations, Echidna Chasm. 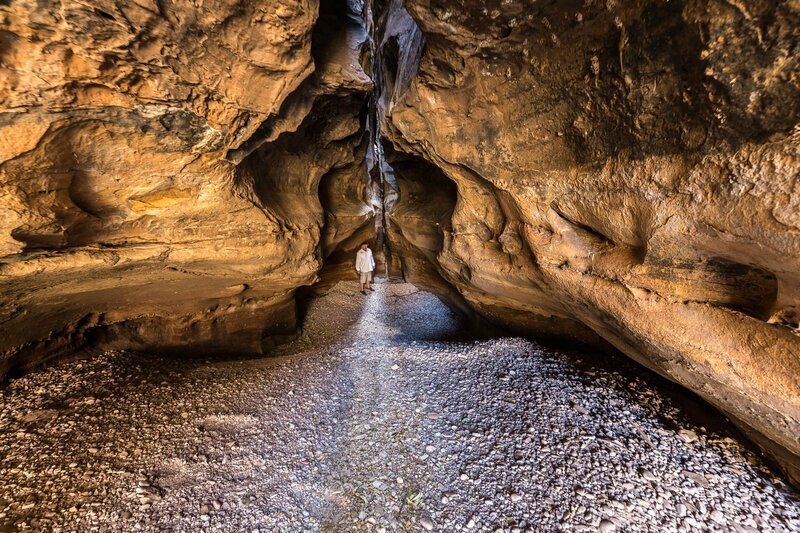 Your walk follows the Chasm deep into the Bungle Bungle Range. The further you go, the narrower it gets, and at times you can touch both sides rearing straight up above you 200m. On the way back out you can make the short climb to the Osmand Lookout. Enjoy the day exploring. Scenic flights are available to book at extra cost. 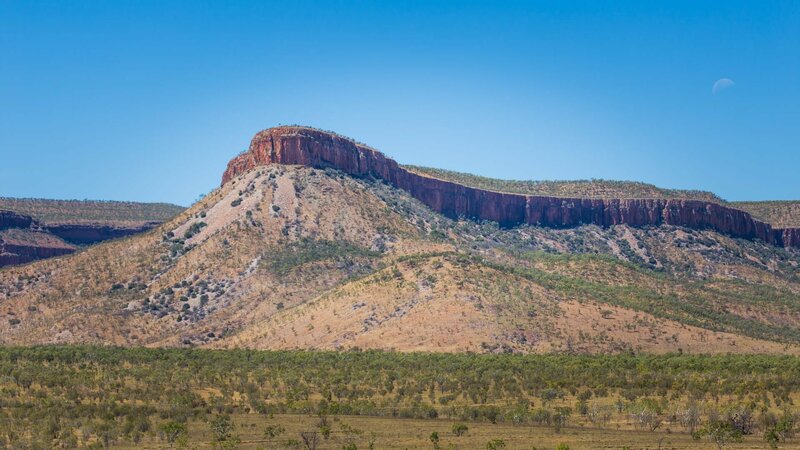 Today we head North to Kununurra passing Warmun. Warmun, once known as Turkey Creek, is a quiet and tiny Aboriginal settlement on the Great Northern Road between Broome and Kununurra. Although it was known as Turkey Creek for most of its life, in recent times it has reverted to the Kitja name for the area, which is Warmun. The local Warmun community who has constructed a roadhouse, accommodation facilities and an impressive art gallery now runs it. 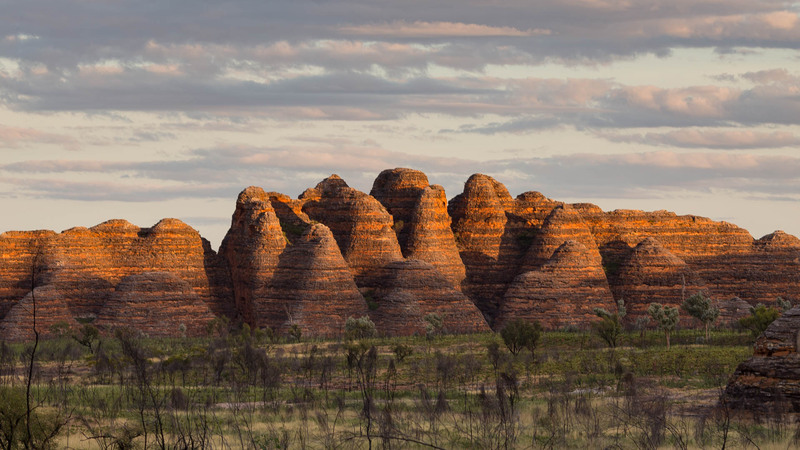 The community promotes the town as the principal access point to Purnululu National Park and the famous Bungle Bungles. En route to Kununurra, we pass Argyle Diamond Mine turnoff, the world’s largest diamond mine. 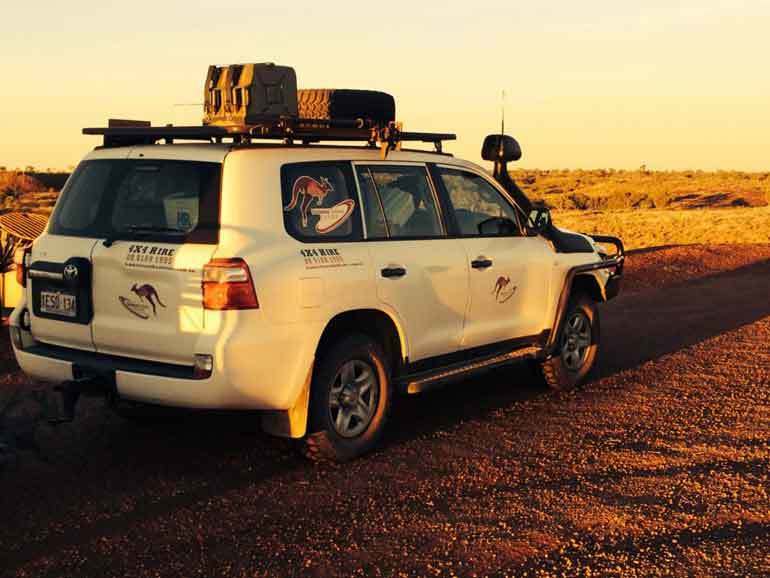 We drive through the rugged landscape of the Carr Boyd and the Durack Ranges. We head towards Wyndham. Old Wyndham is the original settlement of the region. You will see the Port of Wyndham where live export cattle are loaded onto ships for transportation to Asia. 5 Rivers Lookout is on our list of visits today. Here from the top of the Basion Range you will see the 5 major rivers off the East Kimberley (Ord, Durack, Pentecost, King and Forrest Rivers) entering Cambridge Gulf. Soon we will cross the diverion dam into Kununurra. 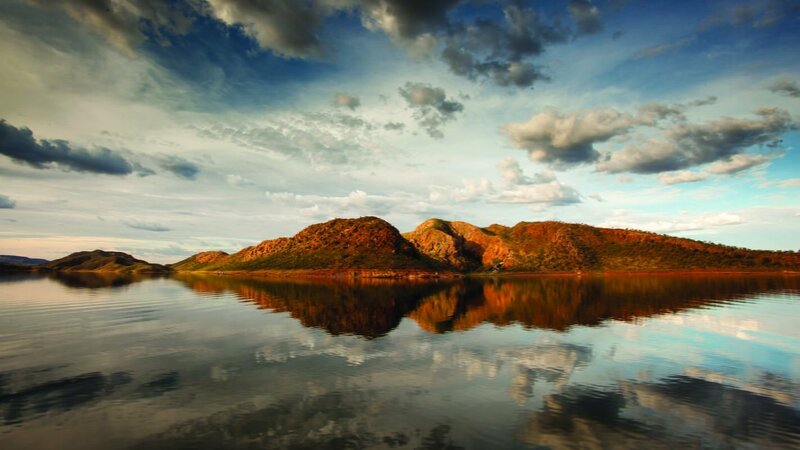 Enjoy some free time this morning exploring the town of Kununurra, before taking the picturesque drive to Lake Argyle. 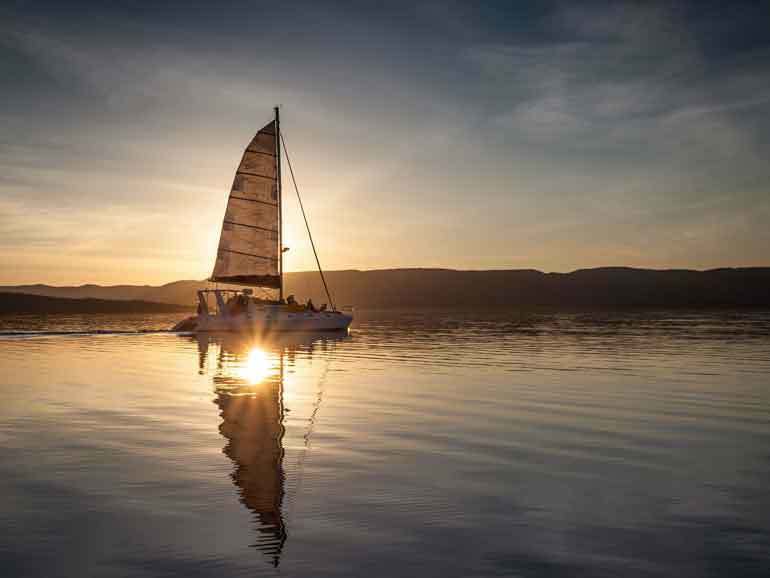 This afternoon enjoy a spectacular and relaxing cruise on the lake. Enjoy this amazing body of water while swimming in the pleasantly warm waters. 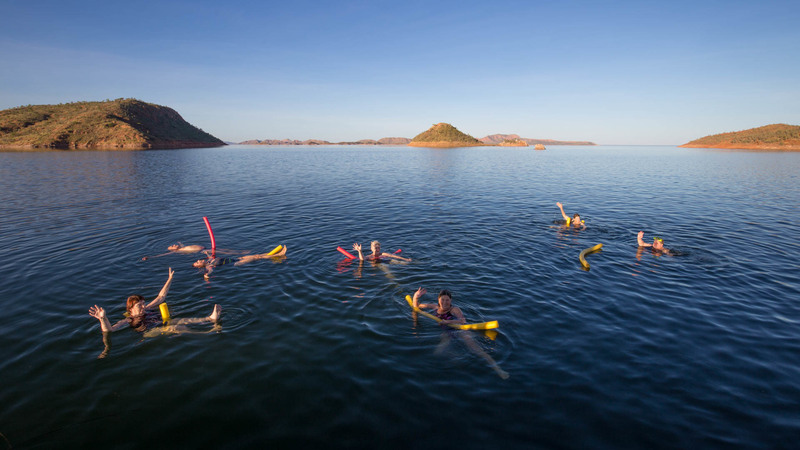 Lake Argyle is Western Australia’s largest and Australia’s second largest freshwater man-made reservoir by volume. The reservoir is part of the Ord River Irrigation Scheme. The primary inflow is the Ord River, while the Bow River and many other smaller creeks also flow into the dam. 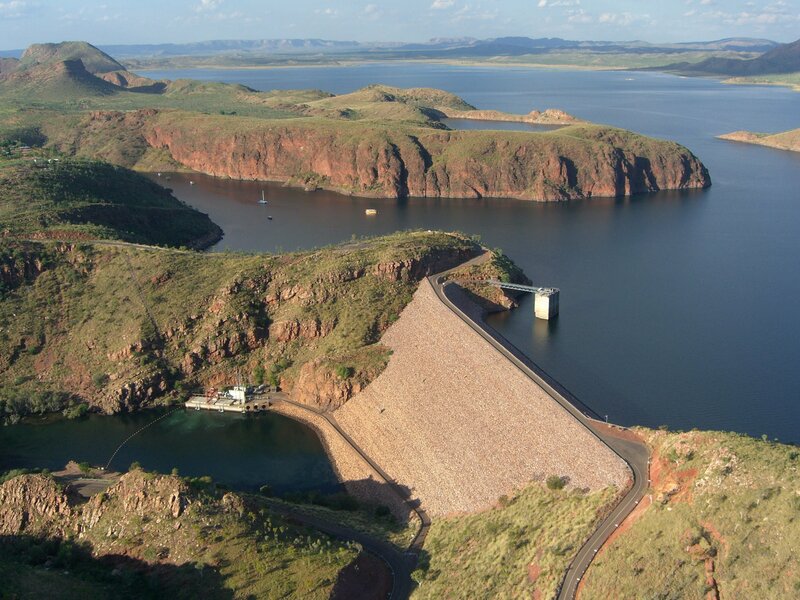 The construction of the Ord River Dam was completed in 1971 by the American Dravo Corporation and officially opened in 1972. The Dam is 335 metres long and 98 metres high. The lake was named after the property it partly submerged, Argyle Downs. This morning we will head back across the Pentecost River to El Questro Station to visit the thermal ponds at Zebedee Springs. Soak in the warm waters of Zebedee Springs. This natural oasis is a short walk along a trail, which leads you through livistonia palms to a series of rocky thermal pools. Set at the base of sheer cliffs these thermal springs are the perfect place to relax and restore. It’s an easy walk along a well-shaded path. Be careful to look out for the slippery rocks near the pools. 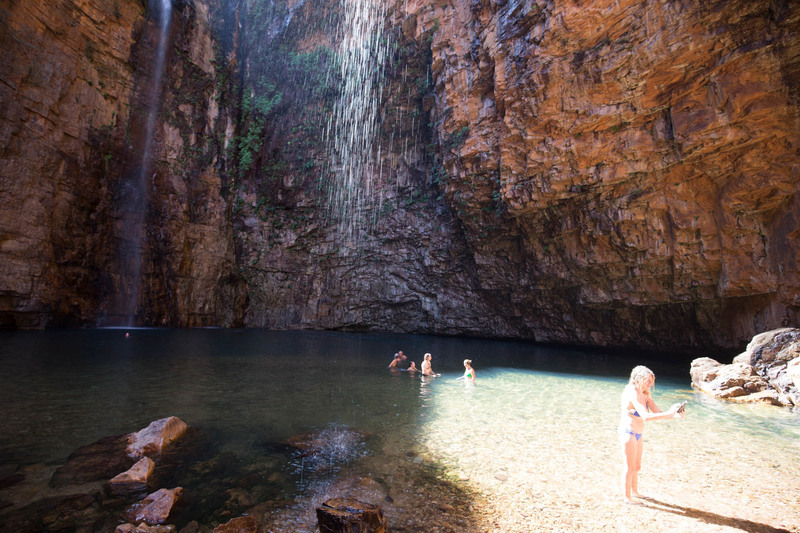 Afterwards, we will visit Emma Gorge, one of the best-known gorges of the Kimberley. Enjoy a challenging one hour walk and be rewarded at the end with a large cooling waterhole, ideal for a refreshing swim. 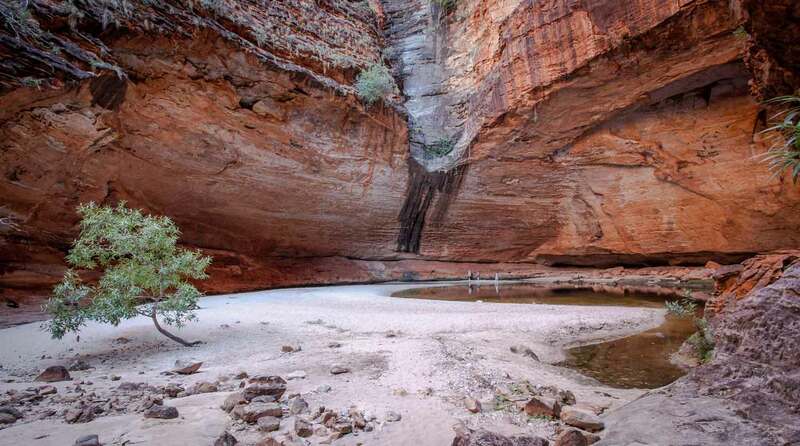 Set at the base of the towering 65m cliffs, the waterhole is graced by a droplet waterfall and a small thermal water outlet, which trickles down from the surrounding rocks. The walk is moderately difficult with some rugged creek crossings. Afterwards, we will head to Home Valley, our camping oasis nestled at the foot of the Cockburn Range. Today we explore Home Valley Station and the surrounding gorges. The station offers a wide range of guided tours, activities like horse rides, etc. If time permits guests can do some exploring before meeting for our camp dinner. 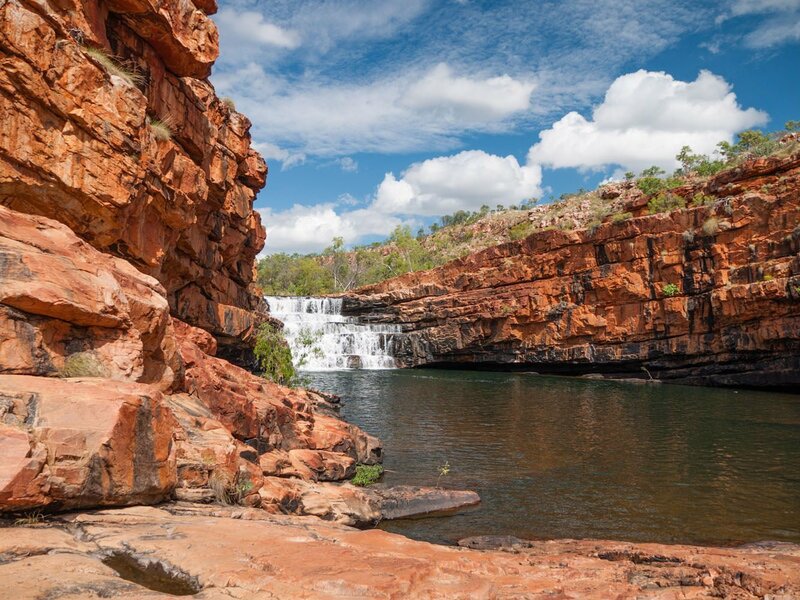 We drive deeper into the heart of the Kimberley on the Gibb River Road today. and stopping at Mt Barnett Roadhouse. We take the short drive into Manning Gorge Campsite and get settled in our camp. 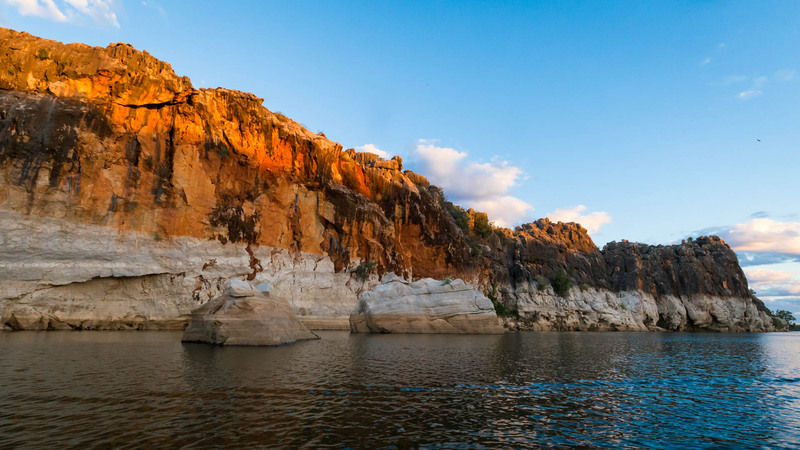 Manning Gorge were visited and used by many aboriginal tribes throughout the Kimberley region for thousands and thousands of years. Both Bradshaw and Wandjina art can be found around here, showing how important this captivating place really was for the local tribes. 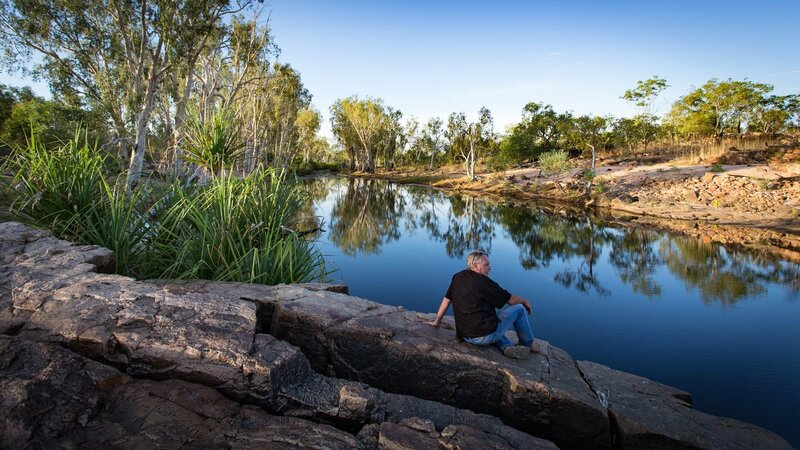 The waterholes, which are permanent, in the Manning river provided everthing they needed to survive all year round. 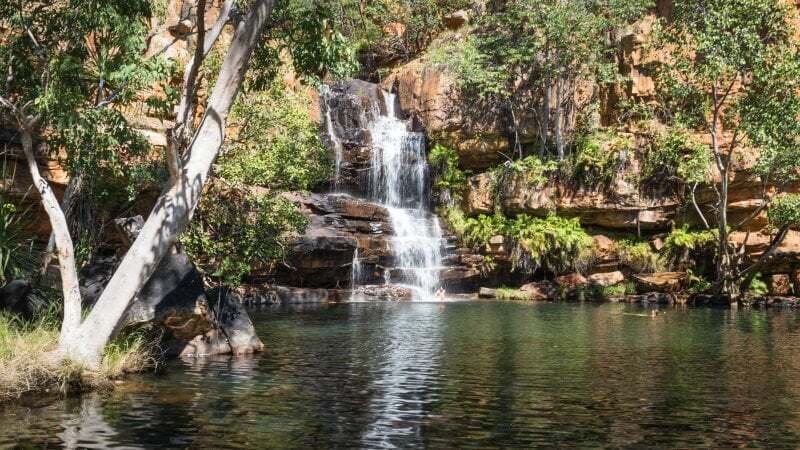 The hike will take about an hour and a half of steady walking, but you will be rewarded with a swim in a large rock pool at the base of Manning Falls and a spectacular site at the top. It’s definitely worth the walk! In the afternoon we will take a short drive to Galvans Gorge to enjoy a dip in the cool waters. A delightful spot exploring the waterholes in the Phillips Range. We make our way to Bell Gorge. 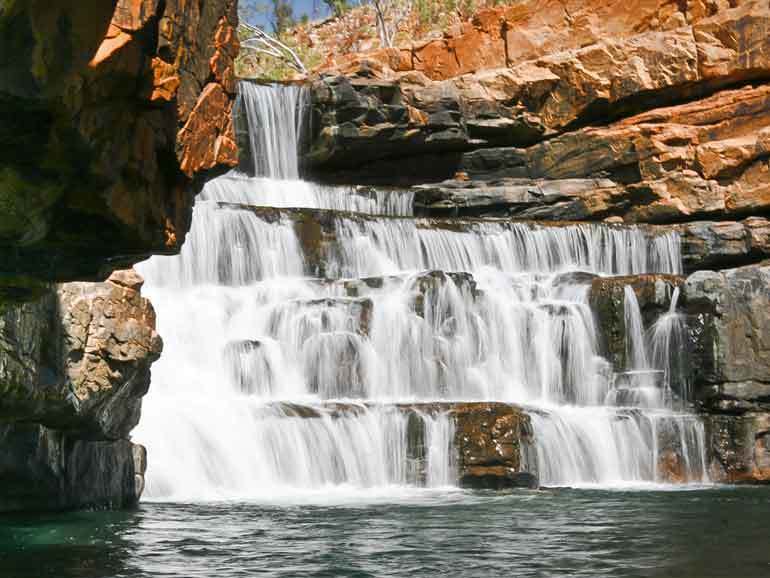 Its one of the most spectacular waterfalls along the Gibb River Road. Bell Gorge is a stunning cascade of water flowing from the previous wet season rains that fall in the King Leopold Ranges. Water flowing west from the King Leopold Range has cut down through the ancient rock to form spectacular gorges such as Bell and Lennard Gorges. Bell Gorge, about 300 metres above sea level is the beginning of a series of waterfalls, which descend through the Isdell Range to Walcott Inlet. Its a great spot for swimming, photography and enjoying what nature has to offer. A 1km walk from the car park reaches the falls. Once at to the top of the waterfall you may wish to swim or relax in the top pool or cross, further up the creek, to the opposite side. From there it is a reasonable walk over the top of the hill and through the spinifex to the bottom pool. 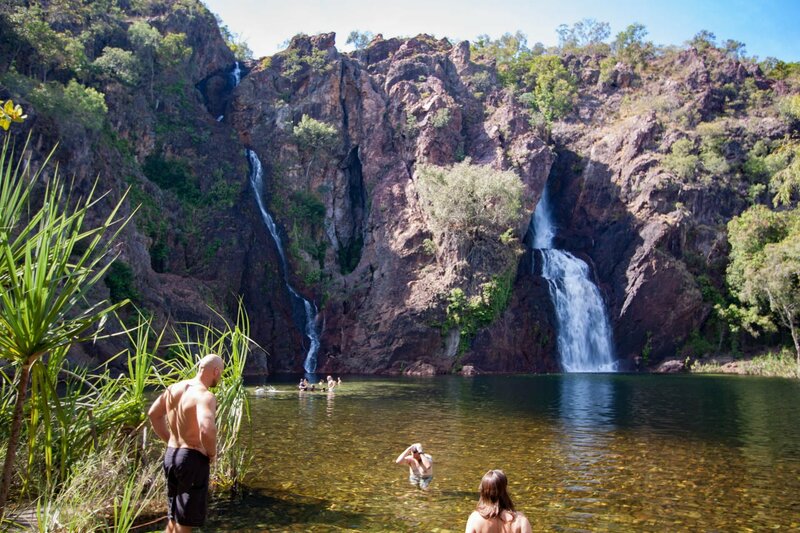 Here is an excellent swimming hole and a magnificent view of the waterfall and the gorge to the west. Time to head further into the King Leopold Ranges to Mt Hart. Mount Hart Wilderness Lodge is located on the former Mount Hart cattle station, which encompasses Bell Gorge and Silent Grove, was first taken up around 1919. Since then there have been a succession of pastoralists who failed to make the station a success and walked off the lease because the land, despite its abundant rainfall and beauty was too rugged and unsuitable for pastoral enterprises. We will visit the unique twisted boabs at Annie Creek Gorge and enjoy an easy short hike into Dolerite Gorge. 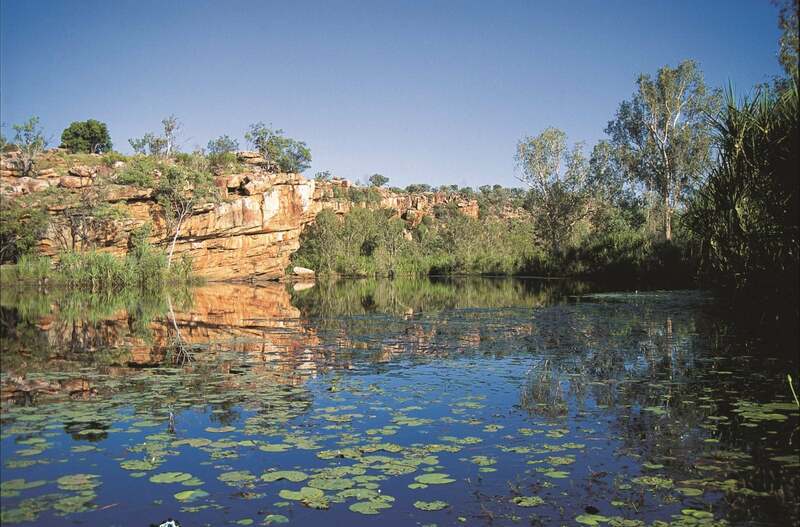 The Barker river flows between the gorge’s steep cliffs of black dolerite rock of volcanic origin, and is unique in the Kimberley. The more adventurous may explore a further 900 metres upstream and cool off in private clear natural rock spas. 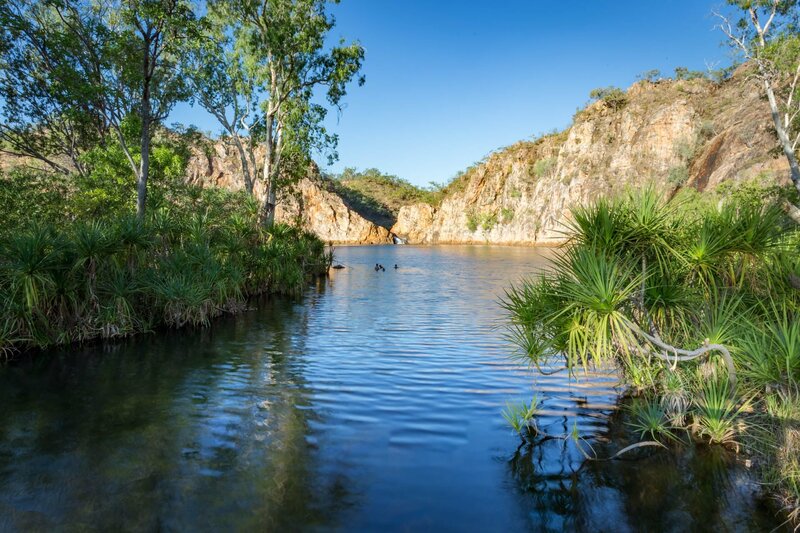 In the afternoon its time for another delightful swim in a classic Kimberley billabong at Barker Pool with its shady tree lined banks, Lilly pads and cool clear fresh water, also a great fishing spot. Back at the lodge you can enjoy a refreshing drink at the fully licensed bar amid the lush tropical gardens. 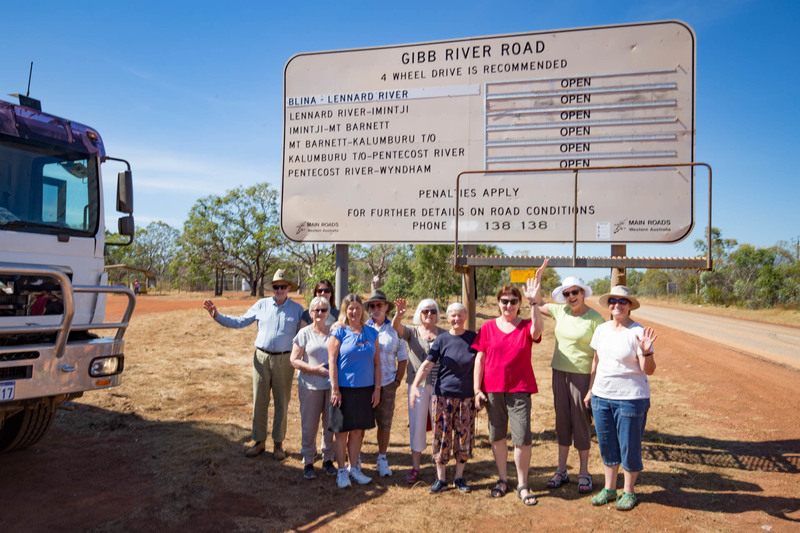 After breakfast, we will enjoy a scenic drive back onto the Gibb River Road towards Derby. 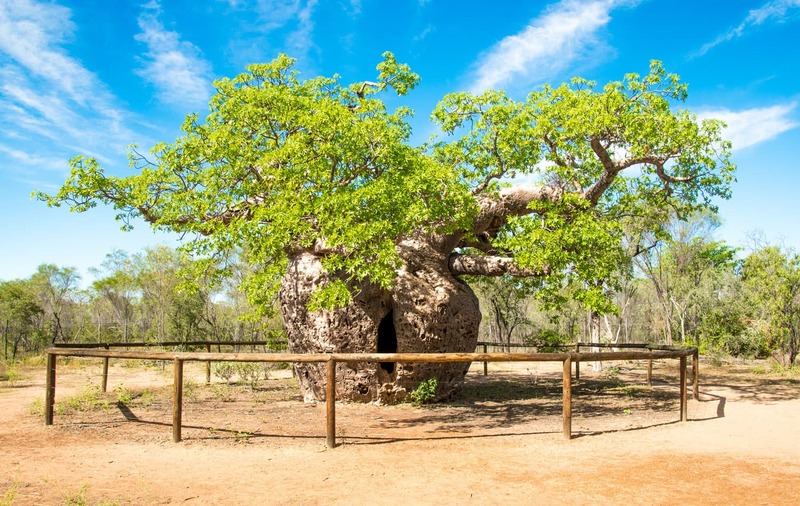 We make a stop at the 1500-year-old Boab Prison Tree, and historic Myall’s Bore. From here we commence our journey back on the highway to Broome where we will say our farewells. It is essential that you bring a torch, good walking/trekking shoes, sandals or old runners, broad-brimmed hat with all round protection, sunscreen, swimming costume and towel and a personal water bottle. It is also recommended that you bring insect repellent, warm clothes for the evening, personal toiletries and first aid, with any personal medication required. Please also bring your own pillow and sleeping bag. This tour is only for fit and active people, who can hike 4-9kms a day over uneven terrain, often in high temperatures. Temperatures can be extreme i.e. very high during summer days and very cold during winter nights. The operator reserves the right to assess the fitness capability of passengers prior to tour departure. It is your responsibility to contact us with your preferred accommodation pick up point. If we do not hear from you, we will assume you will make your way to our default pick up point as listed on this document. We will not be responsible for missed pick-ups (and a missed tour) if we do not receive notification from you, and if you are not at the default pick up point at the appropriate time. Our default pick up point is the local Visitor Centre. 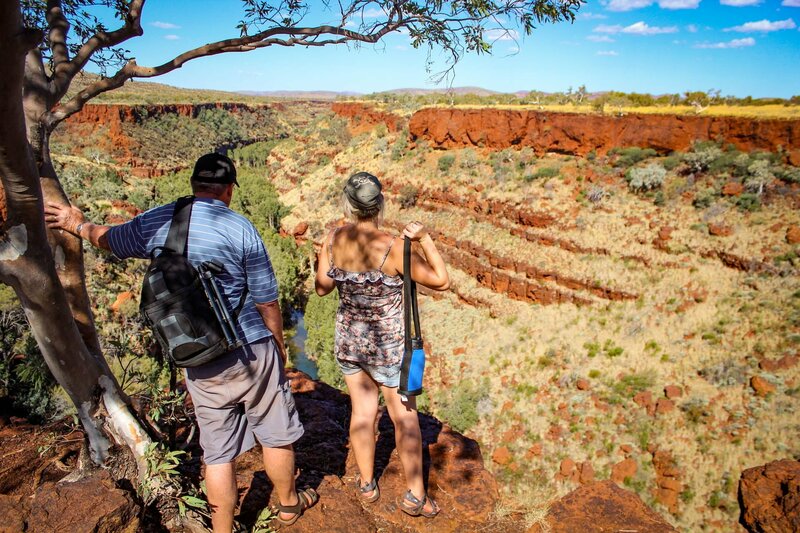 These are the Terms and Conditions under which Kimberley Outback Tours noted below. Payment of the Tour deposit represents an acceptance of the Terms and Conditions. Please take the time to read and understand the conditions of booking set out below. BOOKINGS, DEPOSITS & FINAL PAYMENTS You are required to pay a non-refundable deposit of 20% per person per trip for your booking to be confirmed. The deposit will be required within 14 days of booking. The balance of payment is due 30 days prior to departure date. Prices are quoted in Australian Dollars inclusive of GST for Australia and are valid for travel until 30 September 2018. CREDIT CARD fees if paying by credit card a small transaction fee of 1.1% is applicable. Cards accepted are Visa and MasterCard. If paying by credit card a small transaction fee of 1.1% is applicable. Cards accepted are Visa and MasterCard. 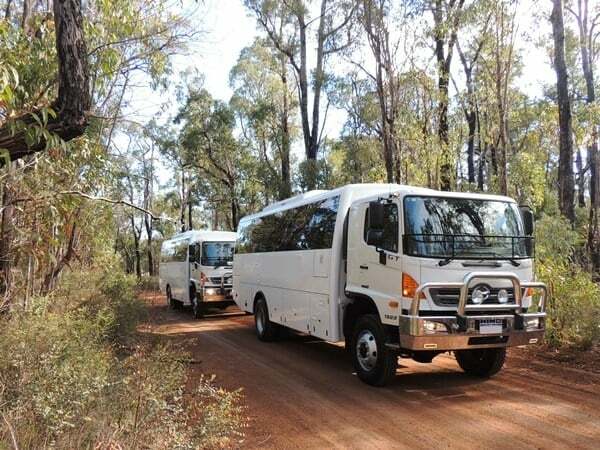 CANCELLATIONSFor cancellations made within 29 days of your scheduled departure, you will be held financially responsible for your entire reservation, unless Kimberley Outback Tours Pty Ltd can fill the vacancy. Changes of reservation date or early departure are treated as cancellations and will carry the same fee. You For cancellations made within 29 days of your scheduled departure, you will be held financially responsible for your entire reservation, unless Kimberley Outback Tours Pty Ltd can fill the vacancy. Changes of reservation date or early departure are treated as cancellations and will carry the same fee. You are, however, always welcome to send a friend or a family member in your place. Note: Management reserves the right to re-assign, cancel or change seats in unforeseen circumstances.